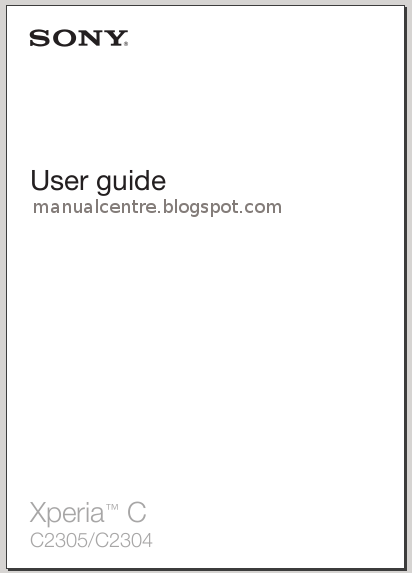 The Sony Xperia C 2305 manual or user guide is available for download in pdf format. The manual support in english language. The Sony Xperia C is dual SIM phone with GSM and HSDPA network. It has 5.0 inches, TFT capacitive touchscreen, 540 x 960 pixels resolution and support 16M colors. There is 4 GB internal memory, 1 GB of RAM and support for external memory up to 32 GB. This phone powered by Quad-core 1.2 GHz processor and MTK MT6589 chipset. It's run on Android OS, v4.2.2 (Jelly Bean) operating system. The phone also equipped with 8 MP camera. The Sony Xperia C 2305 user manual consist of 123 pages with file size of 2.38 MB. 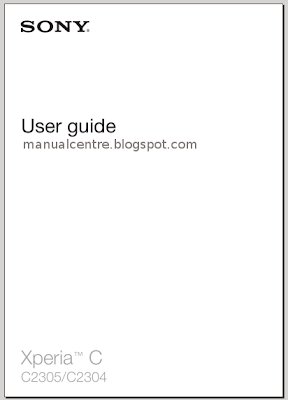 In the user guide contains many reference information such as about phone overview with menu and layout, Turning the device on and off, Screen lock, Setup guide, Using the keys, Using the touchscreen, Using the lock screen, Customising your device, Using a headset, Internet and messaging settings. Then about Installing applications not from Google Play, Conference calls, Backing up contacts, using google talk, Using the "WALKMAN" application, Using still camera settings, using FM radio, Synchronising with Google, using bluetooth, using GPS and Maps. Other information about Updating your device, resetting, Locking and protecting your device, and more.